I have been known for over-spending. My mother keeps complaining that my eyes are always on the costly ones. But the truth is I believe we have one life and let’s lead it well, I love those particular brands. That’s all. Nothing wrong, right? I am the one who doesn’t bother much about fashion . Just comfortable dress, sometimes ethnic is all I want to wear, sometimes my Levi’s jeans weeps and pleads me to give it a break. So it basically all depends on my mood. I used to buy clothes and slippers as if hell broke loose. There was no leggings for that top and no fitting top for the jeans or the dress is too loose or the dress is too tight and yet I repeat the dresses. Then my love for handbags and purses is forever . I keep less cash in the costly wallets I buy but I have my choices. I keep looking into all the online shopping portals for sling bags, handbags and wallets, of course along with the books-paperbacks and ebooks along with so many electronic gadgets. Recently I have stopped over-spending. At the beginning of the month it is such a joy. Indulging and buying more than necessary and then gifting. I love gifting,very much so you can guess how much I must be spending.Sometimes when I spend on nothing it’s like my account is itching so it goes on donations or I indulge in something very costly, like I purchased a new phone last month. No, not iPhone because I spent on iPad already. ( Ah, yeah, I like to show off my iPad :p) But a decent phone. Puff! Money emptied in a single stroke! But then at the end of the day I was a banker’s daughter. Okay, so for those who doesn’t know what it means. It means, I have a loan to pay off and then I have to invest. My salary minus the shopping mania and the investments and debt , at the end of the month hurts like trying to fit into tiny shoes! That pain when your favourite dress is on sale and you can’t buy. Sigh. So I have planned to not to even try to fit into those pretty little tiny shoes. It is difficult but not impossible. 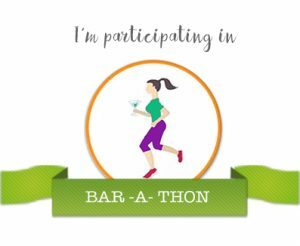 A fiction after a very long time.Writing this post for Day 5of Barathon. Finally a post which did not centre around a tiny shoe! Smart use of the prompt Ramya! I felt you were describing me there! Looks like we share similar traits of impulsive shopping! retail therapy is more suited for those with loads of cash and you know who!!! (sic) not easy for those limited by salary/wages. But you have only one span of youth and you wont get it again. No point in wearing costly Levis strauss jeans in sixties and seventies and remember you still cant escape ridiculous gaping any way. So go enjoy but invest for future because you must understand CASH is KING.